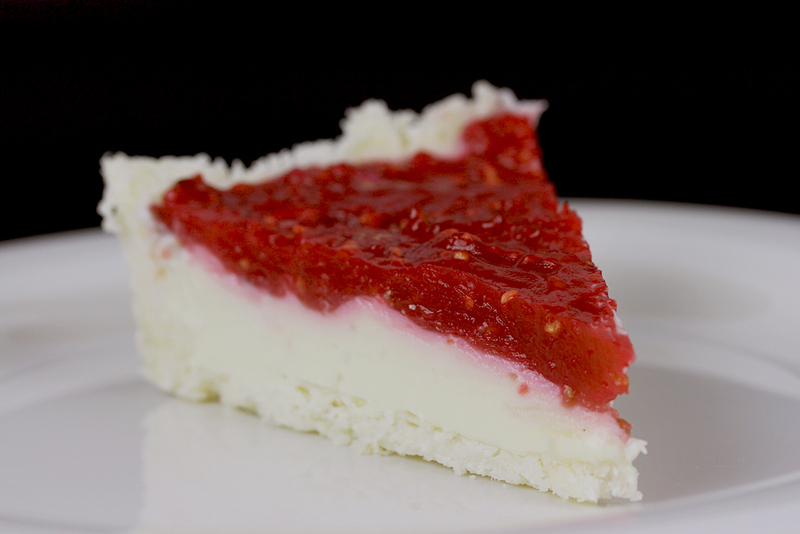 A raw coconut crust, followed by a creamy filling of vegan cream cheese and coconut cream, topped with a layer of raspberries. 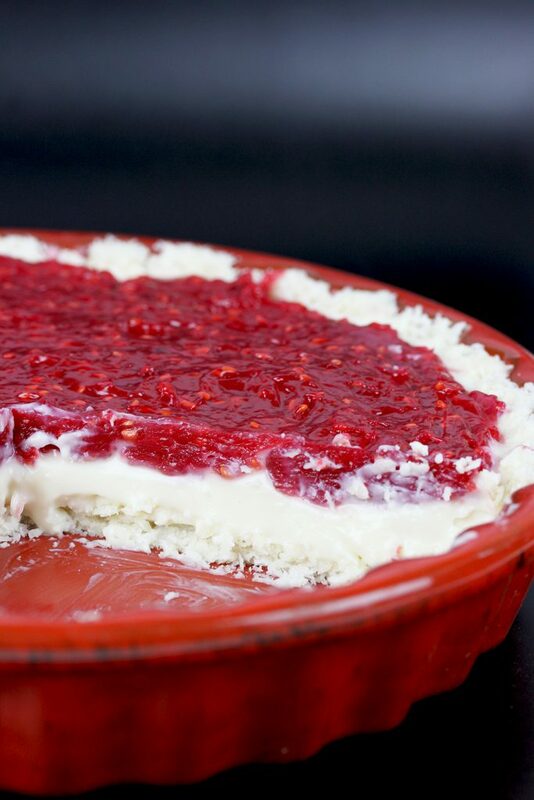 In my opinion the combination of coconut, cream cheese, vanilla and raspberries is perfect!!! 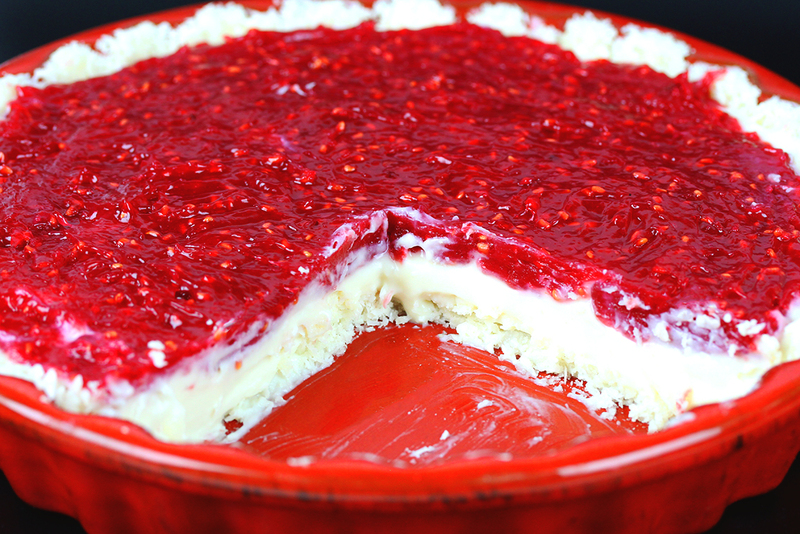 This pie can be made with fresh or frozen raspberries – so you can make it anytime in the year :). I’ve made a coconut pie crust for this pie, but you may use any pie crust of your choice. A chocolate crust would be delicious too, I guess :). 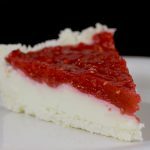 I’ve also mixed some orange liqueur into the filling, which makes it even more creamy and delicious, but you may want to use orange juice instead. Mix coconut flakes, coconut flour, coconut oil and syrup together and press into a 8 or 9 inch pie plate. In a large bowl, beat cream cheese, coconut cream, confectioner's sugar, orange liqueur (or juice) and vanilla until light and fluffy. Spread into crust and refrigerate. In a small saucepan, combine sugar, starch, water and raspberries and bring the mixture to a boil. Cook for about 2 minutes, until thickened. Spread mixture over filling and refrigerate until chilled.